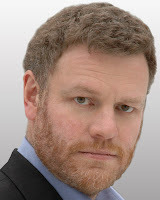 The following is a portion (roughly the last half – with no changes to text sequence) of Mark Steyn’s 2004 Memorial Day reflection. (Emphasis in red text is mine). All wars are messy, and many of them seem small and unworthy even at the moment of triumph. The sight of unkempt lice-infested Saddam Hussein yanked from his spider hole last December is not so very different from the published reports of Jefferson Davis’ capture in May 1865, when he was said to be trying to skulk away in women’s clothing, and spent the next several months being depicted by gleeful Northern cartoonists in hoop skirts, petticoats and crinolines (none of which he was actually wearing). But, conquered and captured, an enemy shrivels, and you question what he ever had that necessitated such a sacrifice. The piercing clarity of war shades into the murky greys of post-war reconstruction. You think Iraq’s a quagmire? Lincoln’s “new birth of freedom” bogged down into a century-long quagmire of segregation, denial of civil rights, lynchings. Does that mean the Civil War wasn’t worth fighting? That, as Al Gore and other excitable types would say, Abe W. Lincoln lied to us? Like the French Resistance, tiny in its day but of apparently unlimited manpower since the war ended, for some people it’s not obvious which side to be on until the dust’s settled. New York, for example, resisted the Civil War my small town’s menfolk were so eager to enlist in. The big city was racked by bloody riots against the draft. And you can sort of see the rioters’ point. More than 600,000 Americans died in the Civil War – or about 1.8 percent of the population. Today, if 1.8 percent of the population were killed in war, there would be 5.4 million graves to decorate on Decoration Day. But that’s the difference between then and now: the loss of proportion. They had victims galore back in 1863, but they weren’t a victim culture. They had a lot of crummy decisions and bureaucratic screw-ups worth re-examining, but they weren’t a nation that prioritized retroactive pseudo-legalistic self-flagellating vaudeville over all else. They had hellish setbacks but they didn’t lose sight of the forest in order to obsess week after week on one tiny twig of one weedy little tree. There is something not just ridiculous but unbecoming about a hyperpower 300 million strong whose elites – from the deranged former vice president down – want the outcome of a war, and the fate of a nation, to hinge on one freaky jailhouse; elites who are willing to pay any price, bear any burden, as long as it’s pain-free, squeaky-clean and over in a week. The sheer silliness dishonors the memory of all those we’re supposed to be remembering this Memorial Day. Playing by Gore-Kennedy rules, the Union would have lost the Civil War, the rebels the Revolutionary War, and the colonists the French and Indian Wars. There would, in other words, be no America. Even in its grief, my part of New Hampshire understood that 141 years ago. We should, too.